I am actually an iPhone user (so the print-screens below are from my iPhone ^^), but since I recently smashed the screen, for aesthetic reasons I used a Samsung to show the app in the photos above~ The App is free; available for iPhone and Android users. 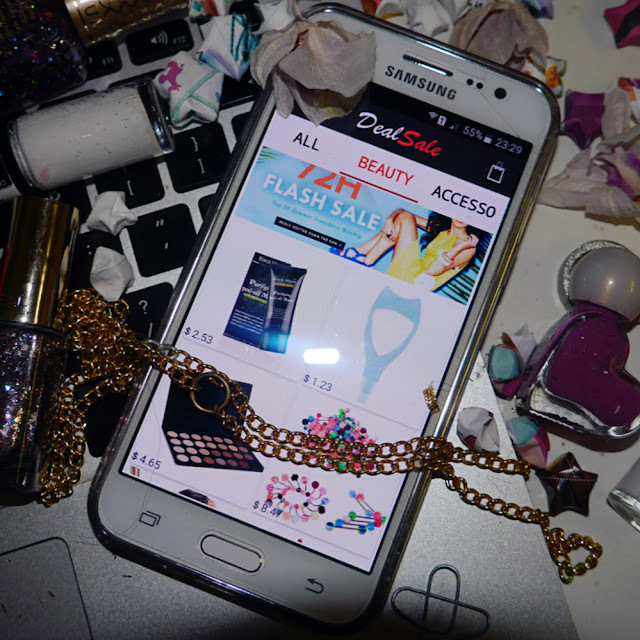 You can find the App by simply searching "DealSale" in the App Store or in Google Play. 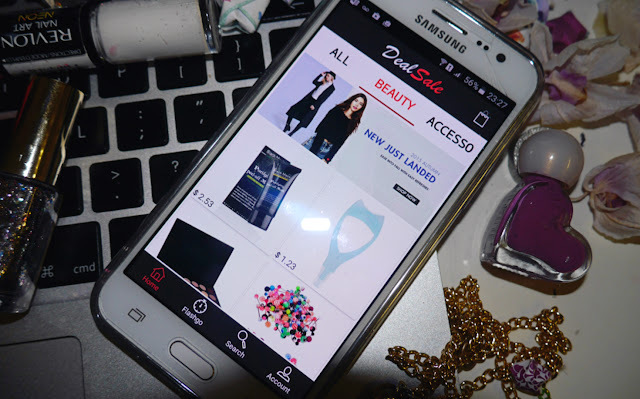 Once it's finished downloading, you can launch the App and start your shopping spree! 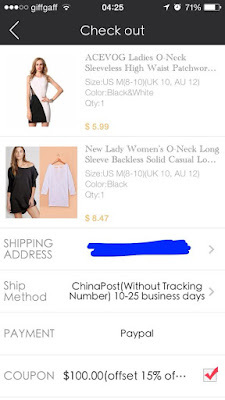 The App is simple to use; the products are categorised under the tabs - All, Beauty, Accessories, Women, Designers, Kids, USA Warehouse and Bags. Just touch the category you're interested it and start scrolling down to browse the items. I do wish that the App had sorting and filter options to make browsing more efficient and more user friendly. 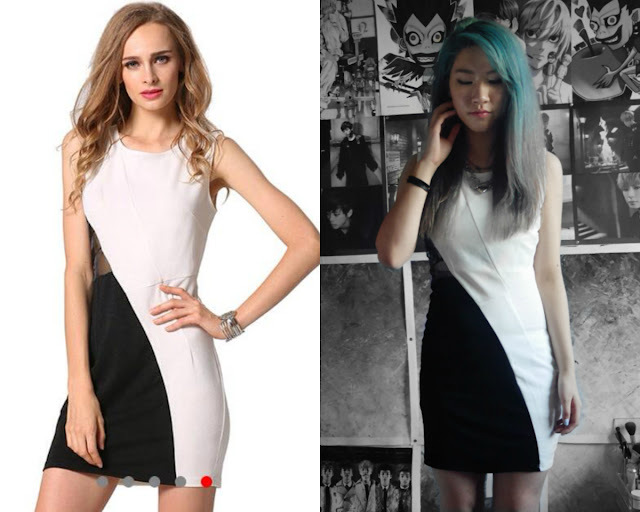 The second dress~ simple yet unique design. 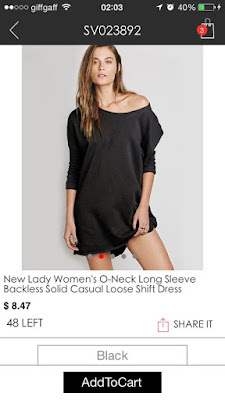 This would be great for formal parties. 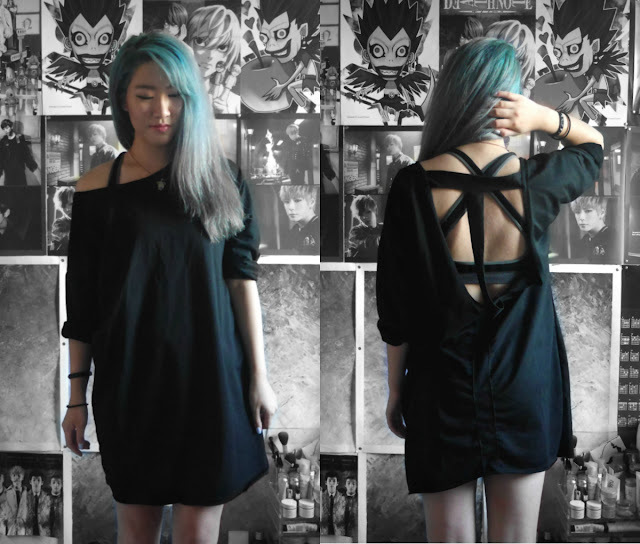 It has a cheeky mesh panel (on the left side if you haven't noticed ^^), if you wanted to wear this for work, you could wear a tank top under so that the mesh doesn't expose your skin. Lovely dress! The material is chiffon, which I think is an slightly eccentric choice to make a bodycon dress with. That's it for the mini DealSale haul~ Bet some of you guys didn't expect there to only be 2 items considering how I usually have a lot. 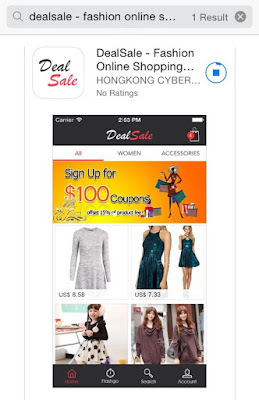 xD Quite a fun app to use; I believe DealSale is relativity new so I am looking forward to see what future items they have and any future improvements/changes they'll make. i love what you got :) looks amazing! This seems like a great ap...and I must say that you look divine in both of these dresses. awww thank you and you! feralcreature. Love Love your hair! 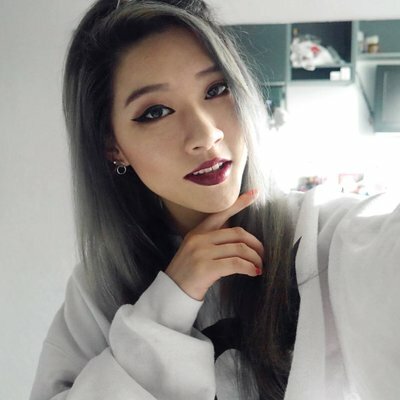 I love your style Michelle and that hair is gorgeous! just followed you on gfc and google+!